Balla Bán (which is the Irish for ‘white wall’) is a Fine Art Gallery is situated in a lucrative area of Westbury Hotel, just off the Grafton street and around the corner of Bewley’s Café. For its great location, in the very hearth of Dublin, The gallery is getting more and more recognition in arts sector. Gallery Zozimus at 56 Francis Street, Dublin 8 opened its doors to the public. Officiating over the ceremony, in ebullient form, was Ms Nell McCafferty. This small upstairs gallery tucked away in the Co Waterford Gaeltacht of An Rinn, is a treasure slowly being discovered by canny art lovers and was recently profiled in The Irish Times Magazine, and on RTE 1 Nationwide. Kevin Kavanagh is one of the Ireland's leading galleries showing Irish and international contemporary art. In 2008 the gallery moved to a 135m² space on Chancery Lane designed by architect Philip Crowe of MCO Projects. It represents both established and emerging artists from Ireland and abroad. The gallery’s annual programme consists of 8/9 solo and 1 curated group show as well as special events, screenings, performances, artists talks and participation at international art fairs.The gallery has published over 30 books on Irish art. Roisin O'Shea Fine Arts is a company run by the artist Roisin O' Shea and Shane Dempsey. The company primarily sells Róisín's work as fine art prints. Rubicon Gallery exhibition space at 10 Saint Stephens Green Dublin was initiated in 1995. The gallery's core objective is to enable contemporary Irish and International artists to realise and optimise projects in all media, both in the gallery space and elsewhere. Rubicon Gallery annually presents ten exhibitions in Dublin, solo-projects in the main with some curated events and produces 4-6 publications. Denise Donnelly from The Bad Art Gallery and Deirdre Carroll from the Bridge Gallery have joined forces to create Dublin’s new and exciting gallery The Doorway Gallery on Frederick Street – Come in to view the wonderful art on display. THE GREEN GALLERY is probably Ireland's most popular retail gallery. The policy of The Green Gallery is to make available a broad range of contemporary art from both Irish and International artists. The Green Gallery is known for its variety in style, price range and excellence of quality. A comprehensive framing service is also available. 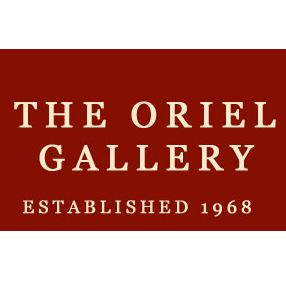 Founded in 1968 by Oliver Nulty, the Oriel Gallery takes its name from the ancient Irish kingdom of Oriel which encompassed the present-day town of Drogheda from which Oliver hails. By happy coincidence the word Oriel translates from the Irish as 'window' and from the Welsh as 'gallery'. The Barrett Sisters are from Co. Limerick & have all been full time artists since their teens. Self-taught & home-educated, their work manifests an individuality that might not otherwise have been the case. Under the shadow of Shandon Bells, on one of Cork's most historic quaysides, North Mall, 2020 Art Gallery offers an ideal oasis from the hustle and bustle of the city. 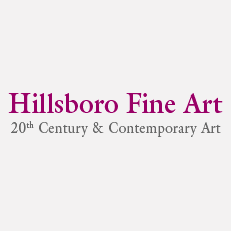 Here you will find a vibrant selection of works by local and national artists which aims to inspire and tempt all art lovers. The perfect place to invest in a treat for yourself or someone special. All enquiries always welcome!